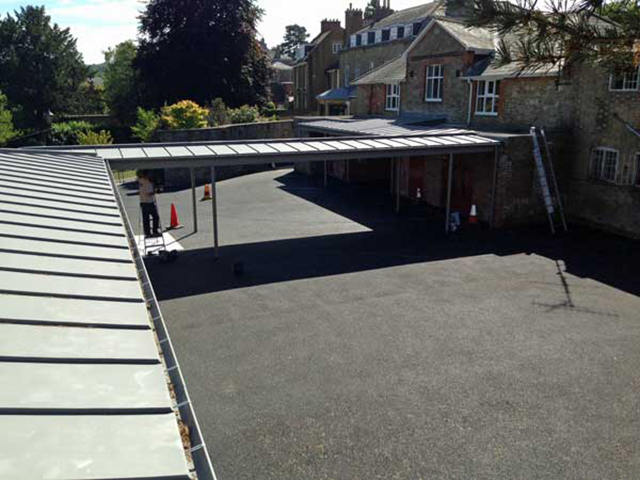 Our work was to a new-build Junior Play building at Sevenoaks School in Kent. 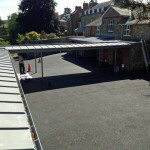 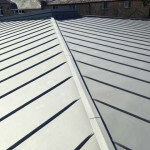 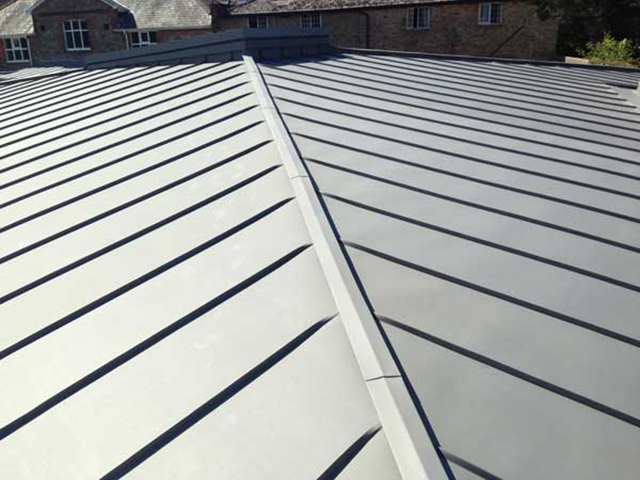 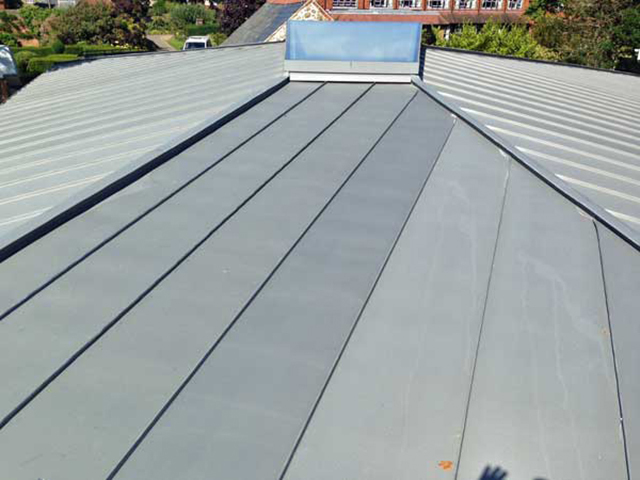 The main roof was fixed by us as a warm roof construction while the walkway and canopy were fixed straight to ply. 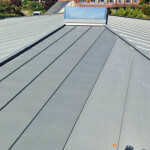 The irregular hips and the valley gutters at intersections and around the existing stone building presented some technical challenges to overcome!